The mighty Gurkha Titan Churchill 5-pack is a beast of a smoke that weighs in at a hefty 6.25” x 56 and explodes with medium to full-bodied flavor. A dazzling, oily Costa Rican maduro wrapper, cultivated in 1996, embraces a lavish blend of, Dominican, Honduran, Nicaraguan and rare Columbian tobaccos, which have been cedar aged for 5-years. A rich intensity and a symphony of earthy and spicy notes will captivate all of your senses. Great cigar for the price. Got a 5 pack for $14.95. What a find! Easy draw for a big cigar, good flavor. I will definitely buy these again. Just finished my 6th Titan. Previous 5 were outstanding in all respects. This one was rolled a little loose for me, but still was one delicious stick. Full bodied, great taste and great aroma. Will continue to purchase. Draw is good and flavor ok, not packed well however which leads to a poor and uneven burn. Need to relight 4 or 5 times, symptomatic of a "dog rocket." Good Flavor - I thought the construction was loose the cigars are very mushy when smoked. I'm a big fan of Gurkha Fuerte but I thought I would give them a try. These have a little bit more of a bite but still great in flavor. The draw is excellent and the flavor is tasty. 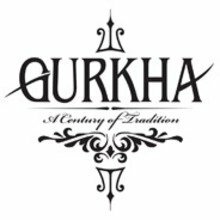 One of my all time Gurkha favorites! Smooth and enjoyable smoke! I wish they had this in XO! Housemate loves it, but it didn't love me! My housemate loves this cigar! It has the taste and flavor he likes. But for me, it was too harsh and trying to draw from it took a bit of effort on my part. I guess I wasn't ready for such a cigar. The flavor was excellent, but it was not to my liking. I wish it was offered in a milder form, but it is what it is. As always a great taste and the perfect size for me. I couldn't pass up the 5 pack deal offered from JR. Very good smoke. Lots of flavour. Going to buy more. I just got it in excellent cigar. I enjoyed the taste. Has a bold Flavor to it. This is as good s Ghurka as any of them. The draw was smooth and the aroma fresh. There were several savory notes running through the smoke as well. Coffee, earth and a few dark spices. I will have to get more of these! Great on the golf course. Smooth and mild. Stays lit so you can concentrate on your game. Will buy more. Great taste and an excellent draw. Pretty much consistent construction. Great cigar for the sale price of $1.73 each !!! Titanic smoke. Bold but smooth. Grab a cup of bold coffee and find a quiet place to enjoy this bad boy. This is a very good cigar and even better when you catch at a great price. Medium to full bodied, this is a mainstay in my humidor.